EXCELL Precision, founded in 1979, is a global manufacturer and marketer of precision instrument for use in laboratory, industrial and retailing applications. EXCELL is a an innovative leader in the industry. With our innovative products and services, we are helping our customer across the entire globe to implement balances, weighing and scales solutions in a variety of industries and applications. We currently are exporting our solutions to over 150 countries. EXCELL Precision Balances are made for reliable and high-precision weighing both in the lab and under harsh industrial conditions. Our Controllers and Weighing Indicators provide you accurate results and fast material transfer in applications from basic filling to complex batching process. Our high-quality bench scales and portable scales, with efficient and reliable weighing, are used for any type of industrial application. Our Retail Solutions are perfectly placed for weighing, labeling, ticketing, packaging needs. EXCELL distinguishes itself from the competition by investing in its research and development, producing scales with high quality and reasonable pricing, and committing to customer satisfaction. As a global precision instrument manufacturer, EXCELL Precision was founded in 1979 ,dedicated to the development of cost effective solutions for the weighing industry. With the brand name, EXCELL, the logo contains a "EX" and a "CELL". "EX" stands for extremely good and very high quality. "CELL" stands for "Load Cell". Load cell is the key component of scale. The brand identity is that we master the core technology and provide great products in weighing industry. 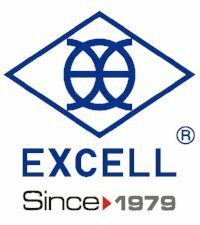 EXCELL has become a leading brand in the weighing industry with an excellent reputation for quality and reliability. It's these qualities that have made EXCELL one of the most popular brands in weighing measurement world. 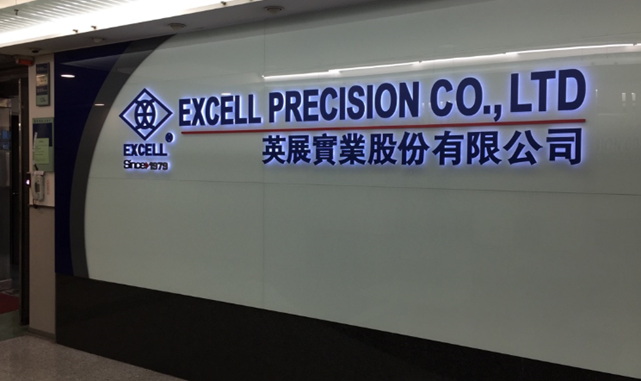 After the success of providing weighing measurement solutions for the domestic electronics industry, EXCELL Precision looked to expand its footprint internationally. With the brand name, EXCELL, the Taiwanese weighing measurement maker entered the global market, and rapidly expanded. Nowadays, EXCELL products are sold to more than 100 countries worldwide. The product lines have many items ranging from price computing scales, counting, weighing scales, crane scales, indicators and bench scales. With durable quality, affordable great performance and precision, EXCELL has earned customers' trust around the world. 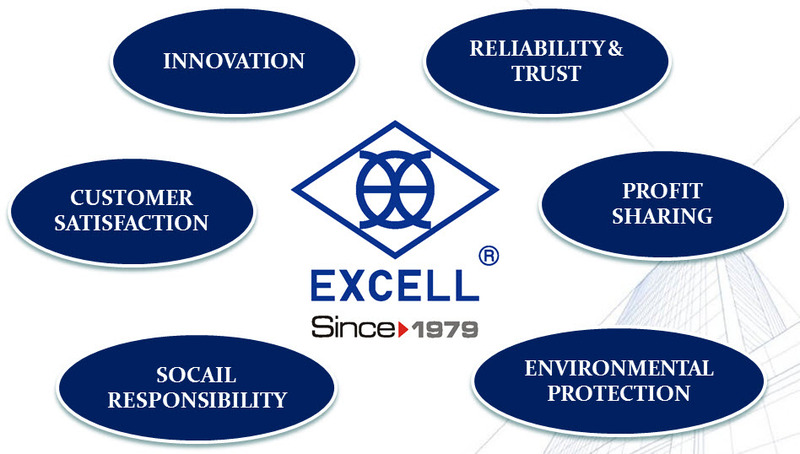 EXCELL commitments to innovation, reliability, and quality promote it. Because of its continuous improvement in technology, service quality, and R&D capability, as well as its persistent competitiveness in manufacture and design, the reliability and stability of EXCELL's products have become renowned. With outstanding product performance and services, EXCELL has earned customers' trust and create customers' value such that most customers are willing to recommend EXCELL products to others. Besides, EXCELL global sales channels and customer service networks provide cost-effective service globally. EXCELL ultimate goal is to satisfy their clients with exceptional products and services. Think of the word "innovation" and it's easy to think of R&D, new inventions, faster processing and groundbreaking technologies. However, our focus at EXCELL is on another type of innovation. It's innovation that concentrates on generating value for end-users. Innovation based on flexibility, manageability and efficient performance in real-world scale applications. Logical innovation that offers more choices and straightforward answers, enhances our ability to provide ‘Made to Measure’ solutions. We call this ‘customer-focused’ innovation and we believe strongly in it. By listening to our customers around the world, we are able to anticipate their needs and respond quickly to emerging trends. Even with over 300 products available for diverse markets or applications, EXCEL's products are capable of performing accurately, durably, and reliably in the most demanding test environments because EXCELL has built robust process to verify product quality. Committing to providing Reliable experience, especially in products usage, EXCELL sticks to his high standards in product design, verification, and manufacture. All products sold from EXCELL have gone through process to guarantee their quality. That’s the compelling reason motivating worldwide customers to strongly recognize EXCELL’s product durability. This product advantage also supports EXCELL's goal, that is, to create values for his partners and customers by offering products with Excellence. A durable, stable, and reliable product is the essential pillar to reduce product lifetime cost. Because EXCELL continues to enhance technology, R&D capability, and manufacture capability, the quality of EXCELL's products, including durability, stability, and reliability, has become renowned. Based on 38 years of service experience, EXCELL has strategically developed a comprehensive service process from pre-sales supports to after-sales services. EXCELL is capable of providing professional and insightful solutions that best meet customers' needs and interests. 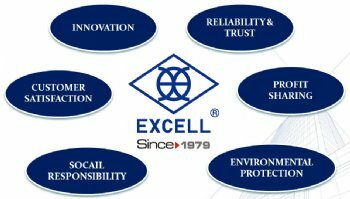 Meanwhile, EXCELL strives to strengthen and refine its professionalism in maintenance, repair, and calibration service. By providing robust products and high service quality, EXCELL secures its capability to offer most competitive solutions to business customers and reinforce their value through provision of solutions. Furthermore, precise inventory stock control system and multiple service points can also offer swift responses and services) to EXCELL's clients. With outstanding products and services, EXCELL has earned customers’ trust such that customers are most willing to recommend EXCELL to others. Understanding each client is unique and different, EXCELL provides professional business solutions to meet clients’ objectives by a customer-focused approach. 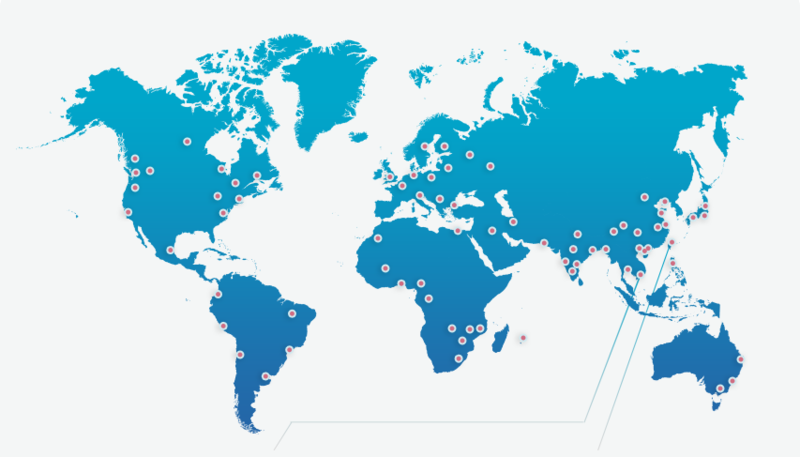 EXCELL's global sales channels and customer service points create an integrated and cost-effective worldwide network, leading EXCELL to satisfy clients with exceptional products and services. We treat our customers as partners. That's because we know that our success is depending on the success that our customers and our partners have with our products. We know now we are in the face of fierce competition from other vendors for this project. Here again, we would like to express our highly interests in this project. We are in line with our customers when talking about service, support and profit sharing. All you need to do is ask. EXCELL has been a byword for high-quality scale and precision instruments due to its decades of experience in R&D, marketing and manufacturing. EXCELL's reputations have been built upon the philosophy of integrity, quality, and creativity as well as the accumulation of years of experience. With a strong focus on high quality, EXCELL has developed a solid brand image for reliability, integrity and innovation along with excellent reputations for quality, reliability, affordable prices and ease of use. It's these qualities that have made EXCELL one of the most popular brands in scale and precision instrument world. A lot of leading manufacturers around the world choose EXCELL as their scale solution provider. With its profound experience and advancements in core technologies, EXCELL is definitely your most reliable partner when it comes to professional scale solution devices.